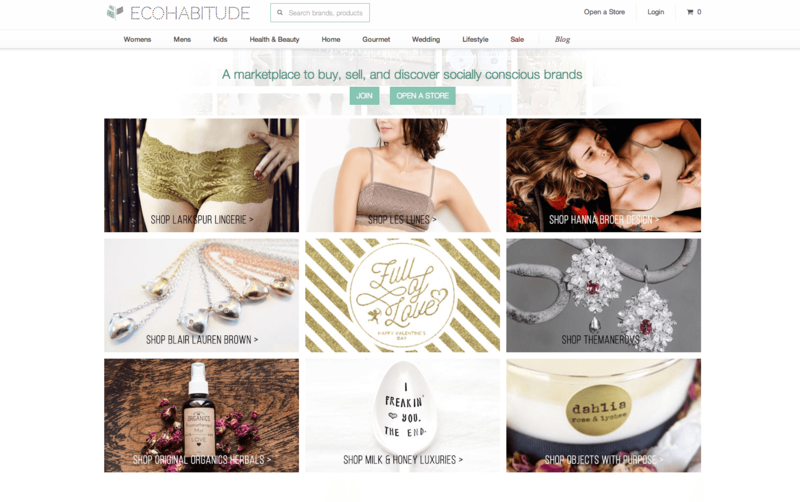 2011 BFA Fashion Merchandising alumna Kristen Drapesa never could’ve imagined that, five years after graduating from Academy of Art University, she’d be the founder and CEO of the eco-friendly shopping platform EcoHabitude. The idea came to her while she was working in New York City and discovered a substantial void of quality, ethical brands in the market. Since that pivotal moment, Drapesa has worked tirelessly to create EcoHabitude, a peer-to-peer marketplace that focuses on ethical brands, product transparency, and conscious consumption. Though the platform was only launched in January 2015 and is still in its early stages, it’s inevitably reshaping the way consumers shop. The environmentally and socially conscious entrepreneur took a little time out of her busy schedule to open up about her time at Academy of Art University, the obstacles of launching a start-up, and her favorite ethical brands. Angela Han: Why did you decide to study at Academy of Art University? Kristen Drapesa: I wanted to stay on the West Coast and go to a fashion school that was still relatively close to Hawaii, where I am from. San Francisco was appealing to me for its diverse cultural vibe and similarities to New York. AH: How has your Fashion Merchandising background helped you with your career experiences? KD: It has helped me tremendously. In fact, if it weren’t for me coming to New York to work as a buyer for another company, I would have never come up with the idea for my company EcoHabitude. It has also helped me understand the inner workings of how a business operates, so that we can better serve our brands on the site. AH: What is your most memorable moment at Academy of Art University? KD: I shared a dorm on Bluxome St. in my first year at Academy of Art University and I lucked out and got some really great roommates. One week during finals when everyone was completely stressed out, one of my roommates randomly got up from her desk and we started a dance party train around the loft—just the four of us—to some epic Earth, Wind & Fire tunes on YouTube. By the end, we were all in sidesplitting laughter and it really lightened our moods. That was my first experience living in a dorm with roommates. I always look back at that and smile when I think about that evening. AH: While you were at Academy of Art University, did you ever think that you were going to launch your own shopping platform? KD: No, I actually never in a million years thought that I would have built a tech platform for commerce. Some days, I’m still surprised at the path my career took. AH: Have you always been socially and environmentally conscious? KD: No, I actually became much more conscious of what I was eating and the products I was using after my mother found out she had breast cancer. My entire family had to reevaluate the products we used daily—it was quite a scare for all of us. AH: Is there a story behind the company name EcoHabitude? KD: I thought habitude was a cool word, sort of like habit and attitude. It’s really a frame of mind or a close association to something. I think the person who is shopping on my platform is someone who values quality over quantity. They really care about what they’re putting on, what they’re eating, and how they’re living their lives. They take time to understand what’s in products. They live with a social conscience, and they are willing to spend a little more on quality brands. AH: EcoHabitude pioneered the product footprint. How does this tagging system shape the way consumers shop the marketplace? KD: Consumers are able to shop based on their values. A vegan, for example, is able to search easily for cruelty free beauty products. Someone who wants locally made gourmet food items can easily discover local brands they may not find in Whole Foods, or someone who cares about brands that give back can easily purchase from companies that are making a social impact. We make it easy to discover cool brands that aren’t mainstream—they’re well curated and you can shop based on what’s most important to you. AH: What was the most difficult part of launching a start-up? KD: Raising capital was one of the more challenging parts, as well as putting together and hiring the right team that helped build the company. But ironically, those two things are also my biggest accomplishments. AH: What types of eco-friendly, socially conscious products are missing in the marketplace? 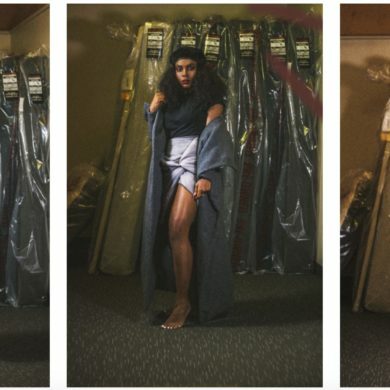 KD: I think more fashion forward sustainable clothing brands are desperately needed. The fashion industry has been the slowest to the game, but I think in the next five years, we’re going to see more ethical brands popping up and following suit with Gucci and other big luxury houses who have begun producing more sustainable fashion collections. AH: What are your favorite ethical and/or sustainable brands? KD: I love Reformation right now—they’ve been putting out some great pieces! I’m a huge beauty buff, so there’s so many natural beauty brands I’m loving. A few of my favorites are Buck Naked soaps, Au Natural Organics, Painted Earth Skincare and Cosmetics, and Blair Lauren Brown who makes some of my favorite jewelry pieces. AH: What is your average workday like? KD: It changes day to day because we’re a startup — I have a small team of seven so we have to be flexible and be jacks-of-all-trades. Some days are busy and others are chill. Right now, I’m raising our next round of funding (Series A), so I’ve been traveling more frequently between the East and West Coast. I usually get into the office by eight a.m. and try to get as much of my emails and work done before the rest of the team gets in. Some days we have our brands, bloggers, and editors stop by, which is always fun. AH: What can we expect from EcoHabitude in 2016? KD: We’re really a bunch of tech junkies that love building stuff. So you can expect to see some cool new features for our shoppers and sellers. We’re also looking to tremendously increase the number of brands and products on the site this year. We currently open anywhere from 18-30 new stores a week. Also, expect some pop-up shops during the summer and holidays on both coasts. AH: If you had to describe yourself with a song title or lyric, what would it be? You have to make your own luck and seize opportunities when they arise. I’ve always been an advocate for that in my life, and have always felt a bit like a gypsy anyway.